Does an all natural whitening toothpaste really work? A lot of teeth whitening products can be overly harsh and damaging to teeth, so when I saw this product on the Boots website, I thought it would be great to try out an all natural product. I was curious to see if it could really whiten my teeth. 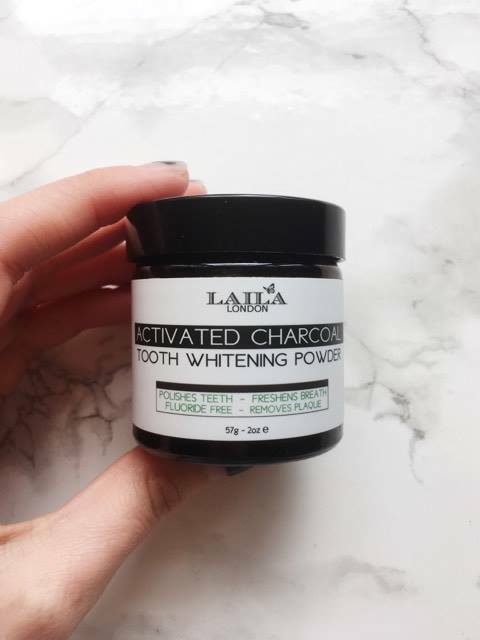 So i've been testing out the Laila London Activated Charcoal Teeth Whitening Powder, which I picked up for £10, over this last month using it twice daily. This whitening powder is made of 100% natural Organic ingredients with no synthetic additives such as preservatives, foaming agents, colours, artificial flavours, baking soda, fluoride, silicones etc. It is a natural solution to promote healthy teeth and gums without any toxic ingredients normally used in toothpaste. The main ingredient in this toothpaste is Activated Charcoal which is known for tooth whitening and removing impurities. It is effective in preventing cavities and killing the bad bacteria present in tooth decay. 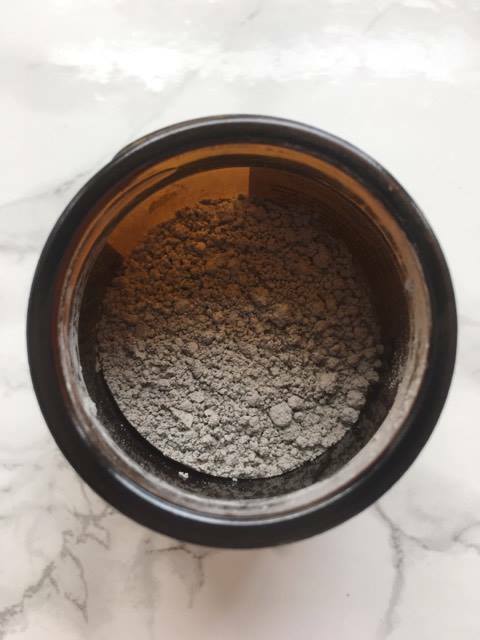 A breakdown of the other ingredients and what they do starting with White Kaolin Clay which helps to whiten and polish teeth. Calcium Powder also whitens. Cloves, a naturally antibacterial, gives a great taste. Cinnamon has these same effects as Cloves and also discourages bacterial growth in the mouth. Ginger is an extremely effective solution in the fight against toothache pain. Peppermint tastes great, is soothing to the gums and freshens breath. Lastly, Lemon powder is also used for fresh breath. 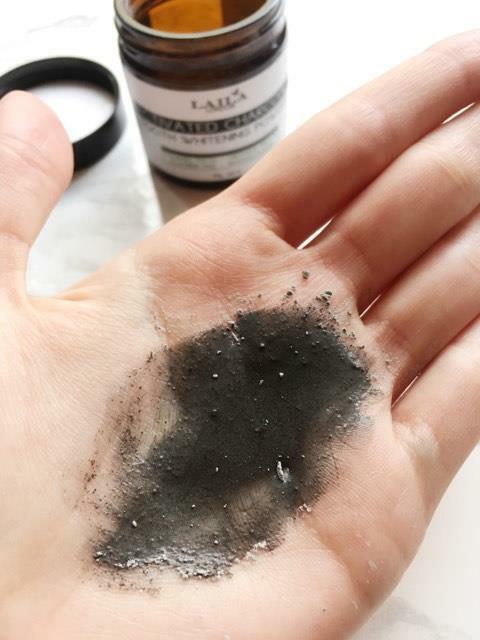 So you are supposed to take a pinch of this powder into your hand, wet the toothbrush, dip it into the powder and brush teeth for two minutes. I know from the picture above it looks like a paste but it is really just like you have black water in your hand. When it comes to the taste the charcoal is the only thing that you can really taste. You defo can't taste the Cinnamon, Ginger or Peppermint or other ingredients that are put in for it to taste nice. One good thing about this product is teeth do feel very clean after using this powder. I tend to rinse my mouth out with water afterwards or use my normal toothpaste after to avoid black bits being in my mouth. Are my teeth any whiter? Well after a month I haven't seen any major differences, my teeth only got a tiny bit whiter. I've noticed that if I drank coffee or fizzy drink that my teeth looked the same colour as they were before I started using this. 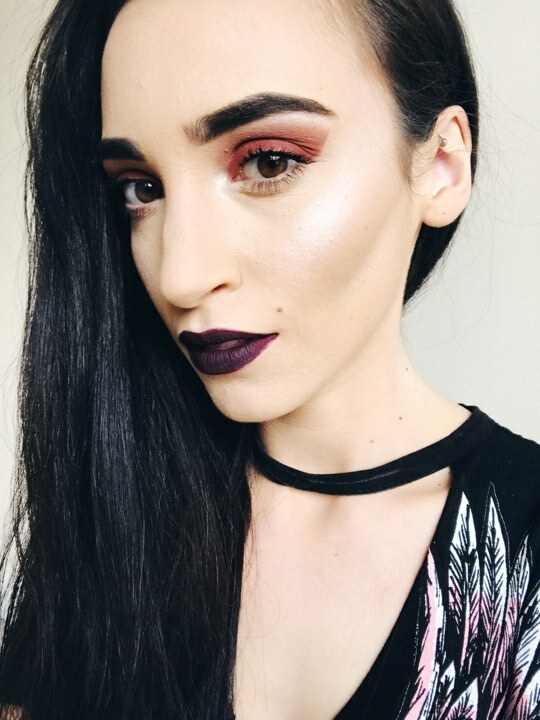 I really don't think it's worth the money for very minimal results! Also I don't think it should be advertised as a whitening toothpaste, I think it should be just advertised as a natural toothpaste because it does clean teeth really well. I would love to know if there any teeth whitening products that you've tried that have worked? Interesting, was looking at trying this but I might have to look out for a few more reviews before investing in it! Thanks! I've seen reviews of this tooth...paste? Toothpowder I guess it would be more accurate. Most of them have impressive before/after photos but I am worried on the damage that it could cause on the teeth and gums. Did you notice any sensitivity after continuous use? I've been using this too but haven't seen miraculous results either. I was pretty disappointed!